Henryk Meller (born 17 February 1931, Krakow) – son of Wilhelm and Helena, née Katz. As a child, forced to hide by himself using Aryan papers. Cigarette vendor from the Main Railway Station. The Meller family lived at Plac Na Groblach 20 in Krakow. In one of their three rooms, Wilhelm Meller, a women’s tailor, set up his workshop, where he employed two assistants. Helena Meller ran the home and took care of bringing up their son and his two years younger sister Józefa (also called Róża). In the secularised and assimilated Meller home, everyone spoke Polish, and Judaism was more of a tradition maintained because of the grandparents than a religion. Along with his father, little Henryk visited his grandmother, Franciszka Meller, in Kazimierz, which he remembered as a district of extreme poverty. In 1938, Henryk began his education at St Jan Kanty Public School No. 4 at Smoleńsk Street. During religion classes, like his other Jewish friends, he had to leave the classroom. In addition, once a week, he attended Jewish history, Hebrew and Judaism classes at the Jan Śniadecki Boys’ Public School no. 16 at Dietla Street. He did not study for long, because after the outbreak of war on 1 September 1939, by the decree issued by Otto von Wächter, the governor of the Krakow district, on 11 December 1939, Jewish schools were disbanded and Jewish students were removed from all public and private schools. In 1940, Henryk lost his father. Wilhelm Meller, after returning from escaping to the east after the outbreak of war, fell ill with tuberculosis. The only chance at a cure was treatment at a hospital in Zakopane. Unfortunately, the ban on changing place of residence, introduced by the Germans on 11 December 1939, prevented him from travelling for treatment. He also did not receive permission of the occupation authorities to leave Krakow. The legal, economic and social degradation of the Jewish population was accompanied by preparations for the removal of Jews from Krakow. From mid-August 1940, approx. 15 thousand Jews deemed necessary for the economy of the Third Reich were to remain in the city. Henryk Meller, together with his mother and sister, were evicted from their apartment, which was taken over by Germans. Henryk’s mother could not find work; therefore, deemed useless, they were expelled from Krakow. They left for Bochnia, where Wilhelm Meller’s sister, Henryk’s aunt, Otylia (Eda) Hirstein and her daughter Róża, had previously moved. In the Bochnia ghetto, Helena Meller supported her family trading in, among other things saccharin and bread. She was helped by ten-year-old Henry, who travelled by train to Krakow for two years, risking his life. He brought food for his family and for sale from Krakow. He received large quantities of provisions from his father’s sister, Helena, living on Aryan papers, who had married Gustaw Kuśmierczyk, an Austrian Christian, before the war. 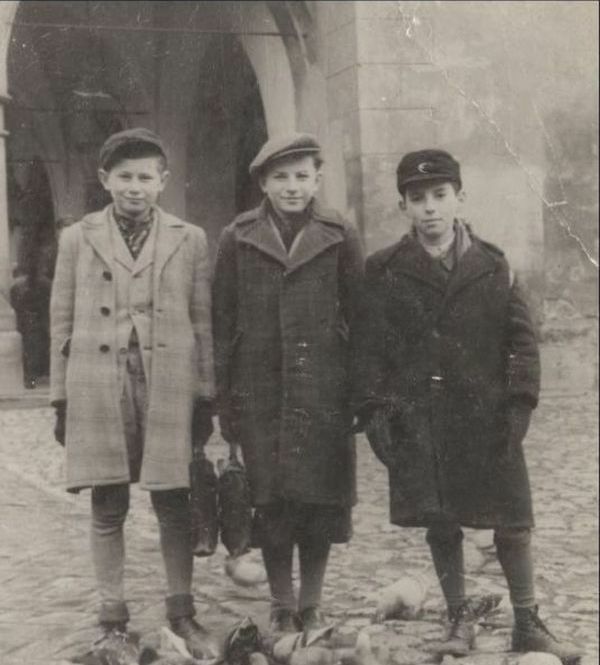 In August 1942, while Henryk went to Krakow, his mother, sister and cousin were murdered during the liquidation of the ghetto in Bochnia. For about a year, Henryk hid in a storage in the attic of the house at Zaleskiego 16, where his aunt Helena Kuśmierczyk lived. As a result of a denunciation for supposedly being Jewish, Helena Kuśmierczyk was arrested by the Gestapo and Henryk became homeless. He was refused shelter of his uncle Gustaw Kuśmierczyk – Maria Kubica, who was the only one of four sisters not to sign the Volksliste. The reason for refusal could have been Maria’s difficult situation – her husband Szymon, a Polish officer, was executed in May 1942 in KL Auschwitz. It is also highly likely, that during this time, Maria was hiding the son of her friends in her apartment at Zalewskiego 1 – the eight-year-old Ludwik Rympel. Henryk’s aunt gave him some money instead. For some of it, he bought copies of Goniec Krakowski and sold them at a profit. He spent his nights in many places, including train stations near Krakow, and near the Cinema Stella, which was located near the Main Railway Station at Lubicz 15. Henryk Meller recalls this period as follows: “I made friends with the guys at the station and started to sell cigarettes… I earned 500-600 złotys a day. I ate well, I had clothing, I had a suitcase with various things. In the mornings, I sold, after dinner I went to the cinema, in the evenings, there was a lot of traffic, so I sold again. I lived like that for about a year. Sometimes, I’d get caught up in a raid, when a Gestapo car came, but they didn’t take boys like me… I got caught by the Bahnschutzpolizei several times, they’d take my money and goods, beat me up and kick me out, threatening to turn me over to the police”. After some time, Henryk found accommodation near the station at Pawia Street. He paid 20 złotys a night to the owner, who knew that he was a Jewish child. When the woman moved out, Henryk returned to the railway station again, and entrusted his suitcase of possessions to a former maid. He also tried his luck selling cigarettes in Warsaw, where he was taken by a friend of the family, Laura Rympel, who was hiding using Aryan papers and whom he met on the street in Krakow. After a failure, he returned to Krakow. In the meantime, his aunt Hela Kuśmierczyk was released from prison, helped by her sisters-in-law, who were Volksdeutsche. However, Henryk could not live with her, because the house on Zaleskiego Street may have been under observation, and Henryk stopped after several visits. In the summer of 1944, he was detained at the station along with two other young sellers and sent to the Blue Police station at Św. Gertrudy Street, where Henryk gave false identifying information. He was then sent to “the institution at Skawińska Street. They didn’t feed us there, and the lice were eating us alive. Grandmother (the woman with whom he had stayed – BŁ) brought me food. They found out I was Jewish, I had to admit it”. Surprisingly, the false name and address Henryk had given were confirmed as true. Perhaps the sudden change was caused by “grandmother’s” visit, or the pity of an employee of the institution for a child living on his own and who had found a very dangerous and unusual way of hiding. Henryk Meller was escorted to the Municipal Educational Institution for Boys in Bronowice Małe. The shelter was intended for child victims of war (with supervision provided by the Society for the Care of Youth and later the Welfare Council). From February 1943, the institution also housed boys sent there for street trading, begging, theft and vagrancy. 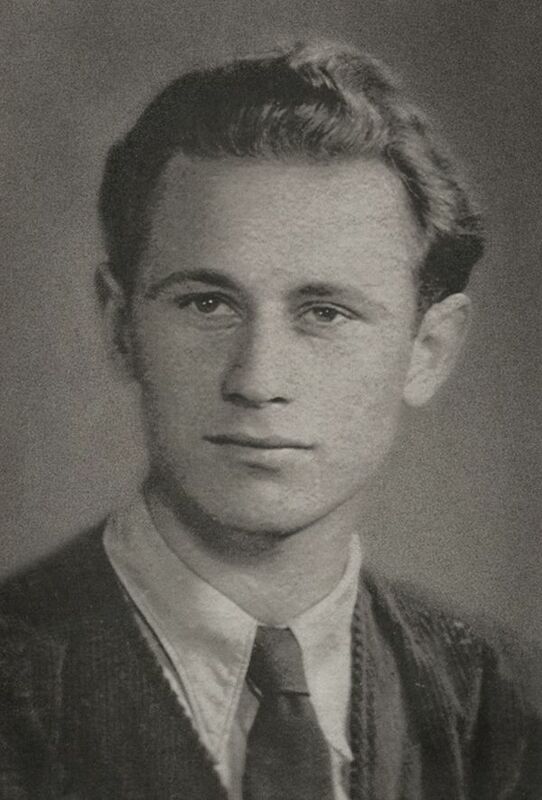 Like the others, Henryk worked in the municipal gardens in Bronowice, where starting in the spring of 1944, youth from the institution were forced by the occupant to work in exchange for small allocations of vegetables. In his testimony in late 1945, Henryk spoke very highly of the institute, even though it was completely unsuitable for providing care for children. Despite this, afraid of revealing his Jewish identity, he escaped after a week. He multiplied money he borrowed from friends, buying and selling cigarettes at a profit, and then, in fear of meeting with an undercover policeman, who had previously stopped him at the station, he bought a train ticket to Warsaw. Laura Rympel, who had taken Henryk to Warsaw several months earlier, used her connections with the Bund party to obtain a baptism certificate for Henryk and advised him to hide in a village near Warsaw. The thirteen-year-old Henryk Meller, without giving away his identity, worked as a farmhand for farmer Wojda in the village of Mokre near Radzymin. After the war, he was sent to fetch a veterinarian from Radzymin to tend to a calving cow. Henryk notified the veterinarian, but he did not return to the village. His return to Krakow took several days, but at Zaleskiego 16, he met his aunt Helena and her daughter Danuta. Several years after the war, he met Giena Tobaszewska, a woman who had promised his mother help in getting out of the Bochnia ghetto, but, frightened, did not show up at the arranged place. Henryk assured her of his forgiveness and understanding – what is more, he consoled her, staying he did not know how he would have acted in a similar situation. Henryk Meller graduated from the AGH University of Science and Technology in 1957, receiving the degree of master of electrical engineering. That same year, he started a family, marrying Aleksandra. He has a son, two grandsons and one granddaughter, as well as one great-granddaughter.